I have received several requests from fellow eLearning developers that are looking for a list of Cloud-Based content authoring tools. This is why I listed 54 Cloud-Based Authoring Tools. More and more eLearning tools are migrating to the cloud. eLearning developers access the content authoring tools over the Internet via a secure hosted system without thinking about IT configurations, software set-ups and licenses. At the following list you will find links with a short descriptions of the Cloud-Based Authoring Tools. Enjoy, and in case that I haven't listed your favorite Cloud Based Authoring Tool please leave a comment and I will added at the list. Are you a Top eLearning Software Vendor? Create a Free Listing on eLearning Industry, the largest and fastest growing independent online community for eLearning Professionals! 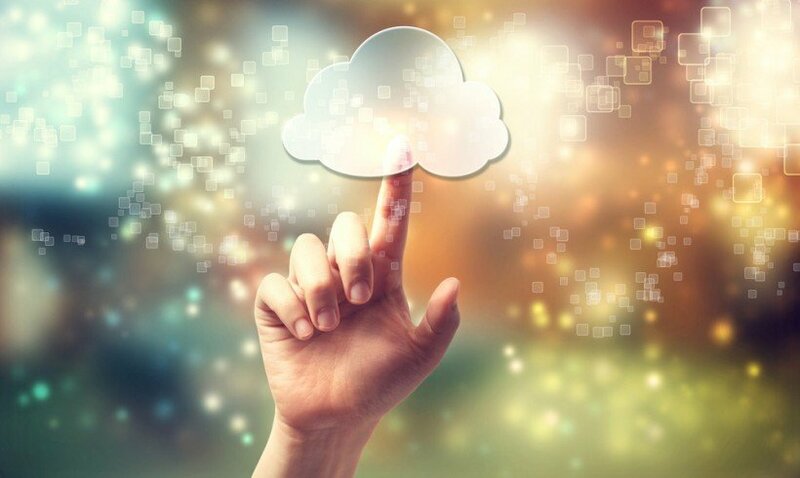 Find, choose and compare the eLearning Industry's Top Cloud-Based Authoring Tools! Easygenerator provides cloud-based eLearning authoring software. Easygenerator enables instructional designers and subject matter experts to rapidly create the most engaging courses that have the highest learning impact. Easygenerator is affordable, easy to use, and future proof. Simply create, design and publish your eLearning courses. Used and loved by 5000+ users in more than 120 countries in both enterprises and universities. Easygenerator’s headquarter is located in Rotterdam, The Netherlands. Simple, Seamless Cloud-Based e-Learning. Easily create your e-Learning online using Lectora Online’s web-based, collaborative authoring tools. Elucidat has proven to speed up the e-learning production process, authoring highly engaging HTML5 e-learning for ANY device. Delight learners with infinite control over 'look and feel' and the ability to create your own interactions. ZebraZapps is a revolutionary cloud-based authoring and publishing platform created by Allen Interactions. ZebraZapps allows developers and non-programmers alike to create rich, interactive applications easily and quickly, as well as share, publish, and sell objects or entire applications. The collaborative platform to create e-Learning courses. Create online courses using our libraries of templates, animated characters, interactive games and adding your content including PowerPoint Presentations. Create, edit, and publish interactive lessons, "text books" and learning modules using an intuitive graphical user interface. SmartBuilder is a cloud-based application that is designed with team participation in mind. Effective collaboration between team members or outside talent improves production timelines and course quality. A rapid authoring tool with SCORM compatibility, has a cloud-based media library and is TOTALLY HTML 5 compliant. Students are more engaged, motivated learners when met with a clean, visually appealing training environment. Building on this principle, Artisan Internet-based content management transforms the task of training course creation into a canvas limited only by your imagination. Incredibly powerful yet remarkably easy to use, with its palette of innovative features, Artisan enables you to change fonts, apply new color schemes and import learning objects in minutes. Assima Atlantic Link (AAL) enables Flash based interactive eLearning lessons to be created rapidly using a trio of components called Content Point, Capture Point and Knowledge Point. The CA/MS is a browser-based tool for creating, managing and delivering high-quality learning content quickly and cost-effectively across your organization. Organizations just starting out in e-learning will appreciate its simplicity, while experienced developers will find that CA/MS offers ways to streamline their course creation process—and substantially reduce development costs. Cameo is a web-based tool that delivers scenario-based learning reinforcement via email. Cameo focuses on the forgotten phase of learning... Follow-up. Research shows that what happens after training is often more important than what happens during training. With Cameo, you can continually reinforce the key learning points from any training event... and it only takes your Learner’s a minute each week. Getting up to speed on different types of custom authoring software is often a production roadblock for instructional designers. Frequently, they have to navigate through tutorials on features irrelevant to their course-design goals, just to learn how to use the functionality they need. With the BankersEdge Course Authoring Tool (CAT), instructionaldesigners across all levels of experience are productive immediately. The Intuto Content Authoring Tools (CATS) is a web-based authoring system that gives users the ability to create online courses rapidly. This is done by compiling text and multimedia resources into structured and reusable learning objects and courses. While being a fully HTML5 compliant elearning authoring tool since inception was certainly a revelation to the industry, what makes Claro truly unique is our ability to rapidly introduce new features and respond to customer feedback in no-time-flat. Because Claro is cloud-based, users always have the best, most up-to-date content authoring platform at their fingertips. ClickClass is a rapid e-learning authoring tool. It is designed to enable users to rapidly author, deliver and manage their own online learning content. It can be set up in minutes and is FREE to use during the e-learning authoring stage. You only pay for ClickClass once you have more than 2 active users utilising the e-learning software. Cobent’s web-based collaborative e-learning authoring tool CoAuthor enables instructional designers and course developers to rapidly assemble, author and publish engaging and interactive e-learning content - without the need for programming or design skills. A web-based authoring environment allows individuals or teams to collaboratively create, manage and control projects and versions from multiple locations. The comprehensive library of assets, templates, themes and interactive elements makes it easy to rapidly create professional-looking content. Composica is a social e‑learning authoring system that offers real-time collaboration among team members and provides a powerful programming- free WYSIWYG environment to create and deliver high-quality interactive e‑learning 2.0 content with embedded social media. The intuitive interface of EasyProf allows you to create presentations, combining multimedia content like video, audio, animation, etc. with tests and interactions. You do not need any programming skills to do all this with EasyProf. With Flypaper you can create courses at one-sixth the time and expense. And without the limitations of rapid development tools! Web CAP 5 is an advanced web-based e-learning authoring system offering high flexibility and an abundance of features to collaboratively create and deliver quality e-learning content. With Scate Ignite 4 Professional Edition you can create and share structured eLearning courses, quizzes, surveys, tutorials, demonstrations, corporate training, HD web videos, digital slide shows, web cam recordings, sales and marketing presentations, video/news blogs (vlogs) and podcasts. Rapid Authoring for eLearning. Create, publish and maintain your own eLearning courses quickly and easily. Perform is an authoring and content management tool that delivers targeted, high-quality learning content to employees. It allows authors with no programming experience to create, edit, and publish procedures, task-based simulations, and eLearning courses, and then quickly deploy the content to the entire workforce via the web. With QuickPresentation you can build, play, share and export presentation on your iPhone or iPod Touch device. QuickPresentation is the perfect tool to create presentations on the go. Afterwards you can publish the presentation to your ftp server, email it to your friends or include it into your personal website.You can share or show selected presentations using built-in HTTP server. SHIFT changes the model of traditional eLearning development, providing a solution to all those who think that eLearning is too expensive or complex to develop. It allows you to build powerful and interactive courses quickly and easily while offering outstanding savings in cost and time to market. Brainshark provides the leading cloud-based software for creating, sharing and tracking online and mobile video presentations. With Brainshark, you can easily transform static content, such as PowerPoint documents, into voice-enriched video presentations that can be accessed anytime, on-demand. Rapid Intake's rapid authoring toolset provides a more robust and affordable solution than traditional learning software can. With extensive, directly integrated e-learning and mobile learning technologies, Rapid Intake will help improve training results by providing everything your development team needs and making it accessible in the cloud, from any computer with an internet connection. Zembl has a wide range of features to put you in control of the content you produce. Administer teams easily, collaboratively develop using rich media content, popular question types and dynamic templating while handling bug requests all from within your browser. When it is time to publish your online learning, be confident that our universal export will deliver the content how you want it. CourseAvenue Studio is a unique e-Learning authoring platform for developing online training. Studio was built with both beginners and experts in mind. Basic courses can be built from start to finish by beginner developers; while expert developers appreciate the full array of options available for building advanced e-Learning courses.Studio is hosted online using our secure servers, providing 24/7 access. Using a web browser, your team can develop courses anytime from anywhere. NetAuthor is a fantastic web-based rapid authoring tool allowing you to write your own, high quality, eLearning in record time! Free your eLearning from the formulaic linear flow imposed by most rapid authoring systems. Podium is a powerful authoring system with an intuitive graphical interface that easily supports sophisticated, conditional branching structures. Additionally, Podium's built-in object model provides flexible and interactive content capabilities that lets the author create multiple deliverables from a single set of content components based on conditions set within the learning experience. elearning maker was designed to facilitate and accelerate the creation of your training materials, as well as updates to them. Once your materials have been created, you choose the delivery mode that you prefer and the software generates the files in Flash format. Lumesse CourseBuilder is a collaborative, cloud-based e-learning authoring solution that empowers your team to easily deliver compelling and engaging learning content, suitable for desktops and mobile devices. GoMo Learning is Epic's multi-device e-learning and mobile learning authoring tool. It delivers the same content to multiple platforms, optimising it to each kind of device. Publish mobile learning apps to Apple, Android and BlackBerry devices, and create multi-device e-learning for desktops, smartphones and tablets. GoMo comes with a range of different assets, so you'll have all you need to create your own engaging e-learning and mobile learning apps in-house. Template-based Authoring Build your own interactive training using a visual layout and flexible course templates. Create and manage your e-Learning rapidly, with or without your own in-house server. Utilize your existing content such as PowerPoint, PDF, Flash, video, images or just your own ideas. Make Amazing Animated Videos! Use our Video Maker to create videos for free. Make a viral video. Create an animated lesson for your class. Make an explainer video for your product, a demo video for your business, or a training video for your staff. GoAnimate is the fastest, easiest way to make a video! Team Author allows subject matter experts and educators to collaboratively create e-learning courses that use the Sharable Content Object Reference Model (SCORM). Team Author is a cloud-based course authoring tool designed for creating, modifying, copying, exporting, and sharing engaging online courses. Team Author’s intuitive web interface allows busy professionals to create courses together in real-time from any Web-connected location. With Skillcast Author you can edit Inmarkets e-learning modules and create your own library of interactive content. It is accessed online via a web browser. Take your online presentations up a level…or three. Turn your tired looking slides into attention-grabbing media-rich presentations by easily combining slides, video, audio and images from your desktop, Google Docs and YouTube. Then, share them with the world or to a specific audience via multiple publishing options including a private URL or export them back to YouTube. You can even track and see if your presentations are being viewed. The Learning Nexus Nimbus Course Builder is a user-friendly cloud based authoring tool. It offers an efficient, simple and dynamic way to collaboratively create any tailored e-learning courses to meet your needs, or modify many of our catalogue courses to make them more unique to you. Over and above this, Learning Nexus has professional production services available to support customers with their creating and editing endeavours. e-ZStudio's object oriented approach provides unprecedented control over the efficient reusability of content and its logic. It separates the content, its appearance and its behavior. The look and feel of each course can be swapped out even after the content has been organized because the system keeps styles, navigation rules, and persistent graphics in distinct layers and objects, which are separate from the learning content. There's a lot to learn. Time is limited. Learning facts and terms is necessary but often boring and slow. Memorize.com pages have interactive learning modes. They make facts clear and lucid. Create a page in seconds! Share or assign it. Earn badges while learning! Anyone with basic computer skills can use Firefly Simulation Developer to create advanced, sophisticated software simulations, yet Firefly still offers experienced developers incredible control and flexibility. With its simple, web-based user interface and embedded social technologies throughout the authoring platform and its resulting courseware, the Mzinga Publisher team-based authoring tool is the industry’s most powerful eLearning authoring platform, enabling dispersed developers of any skill level to collaborate in real-time to create exceptionally engaging, interactive eLearning. Create online courses from existing documents, videos & presentations! ProProfs is the easiest way to make an online course for business training or education. Deliver learning anytime & anywhere. ProProfs is a fully hosted, user friendly & highly functional LMS software. Add images, articles, documents, powerpoints, videos, quizzes & more. QLibris is a fully hosted, zero-client highly-scaleable online authoring platform that provides an Integration Gateway used to create, maintain, and support: QBooks, QGames, and QLibraries. SoftChalk Cloud is the fastest, easiest, most flexible way to create and manage e-learning content for delivery inside or outside of a LMS. Educators can create engaging, interactive, media-rich learning content that directly integrates with any LMS or website. Studio is an authoring tool for creating complete and advanced e-learning productions. With the inherent flexibility in eStudio, the content, pedagogy or structure of an e-learning will not have to be restricted to limited templates or functionality. Quick enables rapid learning. You can produce an m-learning activity by using text, image, sound or video. Participants can interact by selecting answer alternatives presented in the course. You can also create basic tests using eQuick. StudyMate Class by RespondusA web-based version that resides within the online course. Instructors and students can create items collaboratively; student participation can be monitored and graded.